Why a series of GMO studies and news stories unreported and ignored by media? Despite new research indicating health concerns and conflicts of interest related to Genetically Modified foods, the corporate media has, once again, remained silent. In late December, a series of studies and news stories went largely unreported and ignored by the corporate, deadstream media. These reports covered blatant conflicts of interest between the biotechnology corporations promoting genetically modified or engineered products and the researchers and politicians guiding legal policy. There was also the issue of a new study that shows negative health affects with rats who ingest genetically engineered food. This study, Effect of genetically modified corn on the jejunal mucosa of adult male albino rat, which was published in the journal Experimental and Toxicologic Pathology, showed that rats fed GM Bt corn MON810 suffered serious damage to the surface mucous membranes of the jejunum, an important part of the small intestine. The signs of damage were apparent after only 90 days, according to the researchers. The study used Monsanto’s MON810: Ajeeb YG, a genetically modified version of Ajeeb, a local species of corn grown in Egypt. The GM version was created by Monsanto for the Egyptian market. The rats who were on the GM corn consumed MON810 corn as 30% of their diet. The control group had the same amount of non-GMO corn. The GM group experienced damage on the finger-like structures within the intestine known as villi. These villi are responsible for absorbing nutrients from food. The researchers found them to be distorted and flattened. They also found signs of inflammation, disturbed mucosal glands, and congested blood vessels. 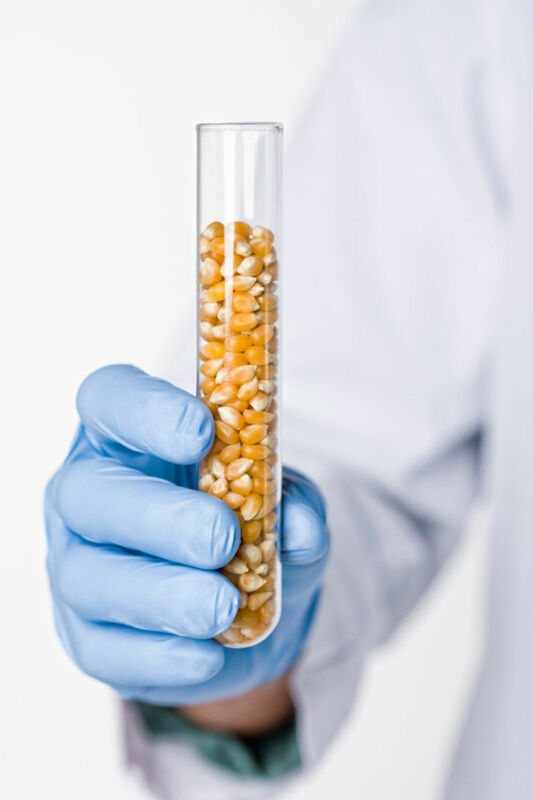 “Consumption of GM-corn profoundly alters the jejunal histological [microscopic] structure,” the researchers concluded. Despite this astounding study, there has been little to no mention of its conclusions in the independent or corporate media. The study alone is not hard evidence that the same results will be found in humans, or even necessarily that the genetically modified corn is the sole reason for the damage, but it does absolutely warrant further investigation. Especially in light of growing concern around conflicts of interest. In late December, researchers with France’s National Institute for Agricultural Research announced stunning findings in their study of potential conflicts of interest within the biotechnology industry. Published in the journal PLOS One, the study found that nearly half of studies on genetically modified crops were found to have conflicts of interest. The study, Conflicts of Interest in GM Bt Crop Efficacy and Durability Studies, also concluded that GM studies with conflict of interest had an increased likelihood of drawing conclusions which favored genetically modified or engineered foods. The researchers examined 579 published studies and found that around 40% showed at least one conflict of interest. In these cases the conflict was typically related to someone involved with the study also working as an employee of a GM company or had received funds directly from the company. Given that America is one of the world’s largest consumer of GM foods, it was not surprising to find that our of the 579 studies examined, 404 were American and 83 were Chinese. “We thought we would find conflicts of interest, but we did not think we would find so many,” Thomas Guillemaud, director of research at France’s National Institute for Agricultural Research (INRA) told AFP. Again, silence from the corporate media on these conflicts. It should also be noted that other than Activist Post reporting on this, the only other link came from the Times of India, an English language website for news in India. There was one story regarding conflicts of interest that made the deadstream. In early December 2016, the New York Times released a report that was quickly forgotten or ignored by the masses. The article details how committees associated with the National Academies of Sciences, Engineering and Medicine (NAS) were being questioned for their own conflicts of interest. The NAS provides policy guidance to the U.S. government. They distribute this guidance via written reports from scientific committees. By the academies’ own account, two of the scientists already violate the group’s extensive conflict-of-interest policy. The National Academies play an outsize role in the debate because of their stature in the academic community and connections to the federal government. The NAS is also the organization responsible for a May 2016 study which claimed to have completely debunked any environmental or health dangers related to genetically engineered foods. However, once again, conflict of interest was an issue. Following the NAS study, the environmental watchdog organization Food and Water Watch released their own report pointing to possible influence from the same organizations that stand to benefit from the growth of GM foods. The report, Under the Influence: The National Research Council and GMOs, looks at “far-reaching ties” between the National Research Council, its parent organization the NAS, and biotechnology companies and agricultural corporations. How are Americans supposed to trust the corporate media, the scientists promoting genetic engineering, and the political bodies if they are completely corrupt and wrapped in conflicts of interest? We can’t. Grow your own food and vacate the unsustainable food systems that promote genetic engineering, factory farming, and pesticide use. A genetically modified organism (GMO) is any organism whose genetic material has been altered using genetic engineering techniques (i.e., a genetically engineered organism). GMOs are used to produce many medications and genetically modified foods and are widely used in scientific research and the production of other goods. The term GMO is very close to the technical legal term, ‘living modified organism’, defined in the Cartagena Protocol on Biosafety, which regulates international trade in living GMOs (specifically, “any living organism that possesses a novel combination of genetic material obtained through the use of modern biotechnology”). A more specifically defined type of GMO is a “transgenic organism.” This is an organism whose genetic makeup has been altered by the addition of genetic material from an unrelated organism. This should not be confused with the more general way in which “GMO” is used to classify genetically altered organisms, as typically GMOs are organisms whose genetic makeup has been altered without the addition of genetic material from an unrelated organism.